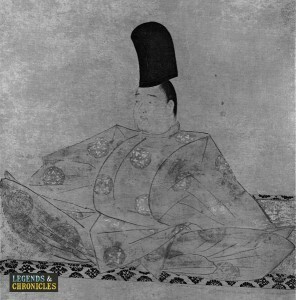 In feudal Japan, the emperor was the highest ranking figure at the top of hierarchy. Despite this, the emperor had little power compared to those at the top of the military class including the shogun and daimyo who were seen as true rulers of Japan during this era. Emperors still had high amounts of respect as they were considered as religious leaders and some even considered them of as gods. There were in total of 40 emperors during the feudal period of Japan, with the first one being Emperor Gotoba and the last emperor was Komei. During the feudal period, emperors were not as powerful as shoguns, and did not have as much political involvements. This led emperors to spend a lot of their time, getting involved in religious ceremonies and other leisure activities including dancing, viewing beautiful gardens, watching sport games and other entertainment forms. Emperors and their families were very wealthy and, therefore, had very luxurious lifestyle, living in a large palace / mansion, where there were usually traditional Japanese gardens. Emperors also ate the most luxurious food, which the majority of Japanese people in the feudal period could not afford, including fish, rice, sake and Japanese sweets, often made of rice. A lot of food from the period are still considered the most popular food in Japan today. Meat was not widely eaten during this period, mainly due to the religious reasons. The last emperor of this period in Japan, emperor Godaigo. One of the questions many people ask is what kind of clothes did emperors in Japan wear? As can be seen in Japanese text books and in many movies based around this time, they wore kimonos. Emperors wore the most expensive and the highest quality kimonos. There were several grades of kimonos and what type and design of Kimono people could wear depended on which social class they were in. Those in higher classes including emperors often wore purple and silk kimonos. During the feudal era of Japan, there were a number of notable emperors throughout the Kamakura, Muromachi, Azumi-Momoyama and Edo periods. 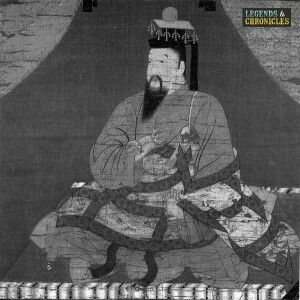 Typically, each emperor stayed in the position between 10 to 15 years. However, it was very often shorter, sometimes two to three years and even as short as a few. For instance, Emperor Chukyo became the emperor in 1221 at the age of three and the length of being in the position only lasted for a few months. The majority of feudal Japan emperors were men. During the period, men were considered superior to women. This explains why most of those in higher classes the royal class and the noble class, were in fact men. This concept remained for a long time in Japan. The term, empress, was used to describe a female ruler in the emperor position. Other terms used to describe female emperors include Japanese empresses and Josei Tenno which is a direct translation for ‘female emperor. It was relatively rare for women to become a tenno. Out of 40 emperors in the feudal Japan period, there were only two empresses. Furthermore, in the whole history of Japan, there has only been eight mistresses. The first emperor of Feudal Japan, emperor Go Toba. Empress Meisho was the first empress in the era, specifically in the Edo period. She became empress regnant in 1629 and resigned in 1643. Empress Meisho was only five years old when she got in power. Empress Go-Sakuramachi was the second empress in the Edo period. She was the empress between 1762 and 1771. She was the daughter of Emperor Sakuramachi, hence her name, Go-Sakuramacho. The word ‘Go’ simply means ‘later’ or ‘second’ in Japanese. One thing to note is that the empress was often represented as a male in their portrait paintings/drawings.